Saint-Véran is a well-known commune in the Maconnais region of Southern Burgundy. 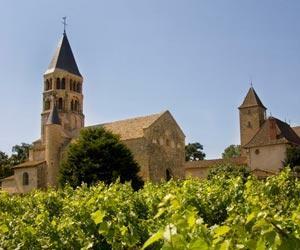 At its best, Saint-Véran (always 100% Chardonnay) combines satisfying richness with a minerality and precision sometimes lacking from its warmer and riper neighbor, Pouilly-Fuissé. Cuvée Delaye is a Michael Skurnik exclusive, and each year Michael and Harmon get to make their own blend, aiming for a fruit-forward, pure, and typical Saint-Véran that nonetheless displays the poise and minerality for which the commune is known. This wine, called "Les Pierres Grises," always delivers tremendous value for the money.